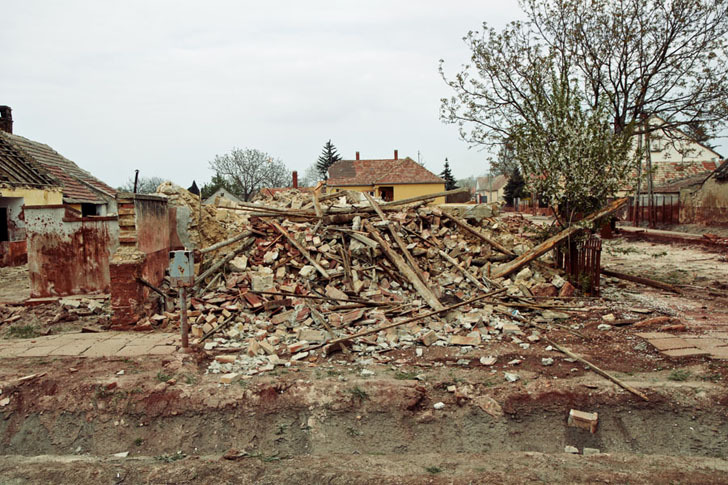 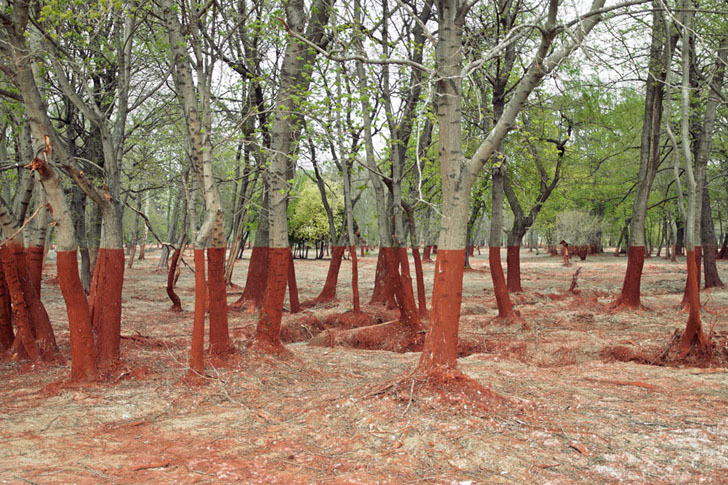 The Line" exposes the <a href="http://en.wikipedia.org/wiki/Ajka_alumina_plant_accident" target="_blank">irrecoverable damage</a> the toxic sludge left on the small town. 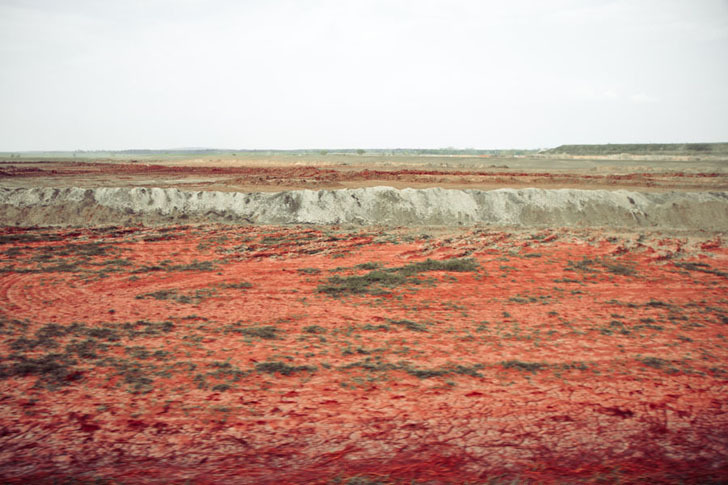 Mesarzaro creates these images by only lining up the tip of the red stains with the <a href="http://drawsketch.about.com/od/drawingglossary/g/horizonline.htm" target="_blank">horizon line</a> in each photograph. 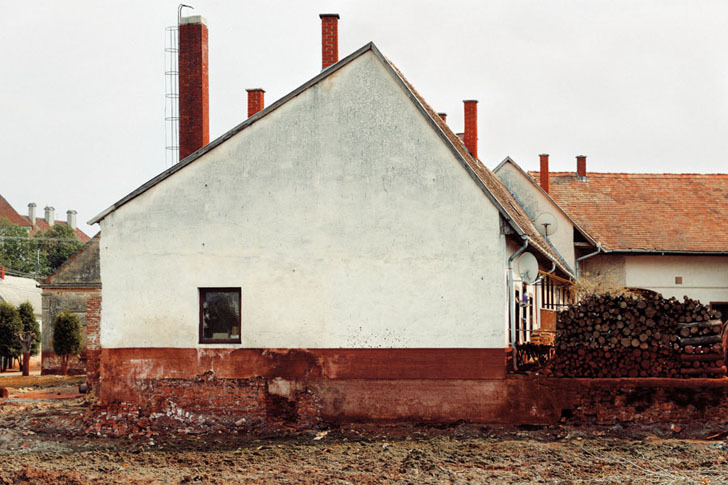 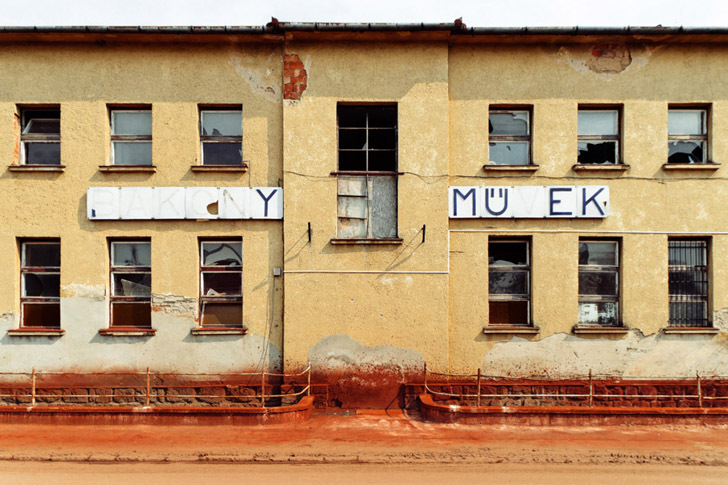 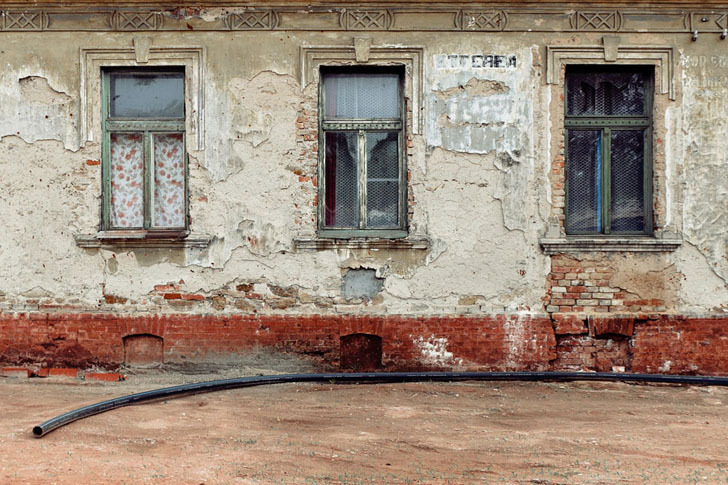 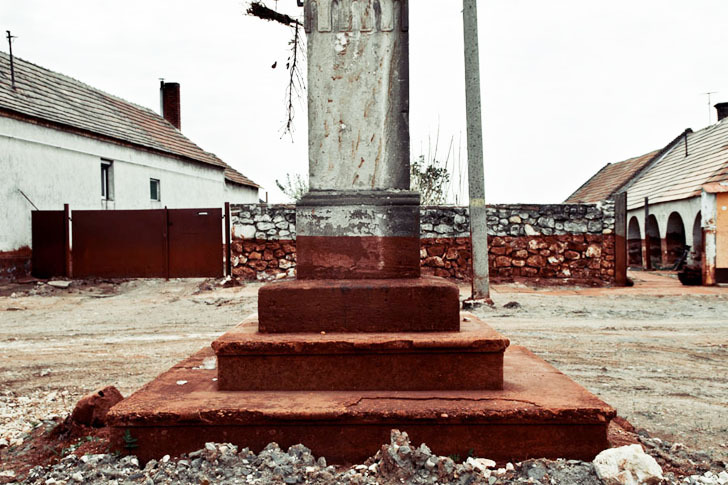 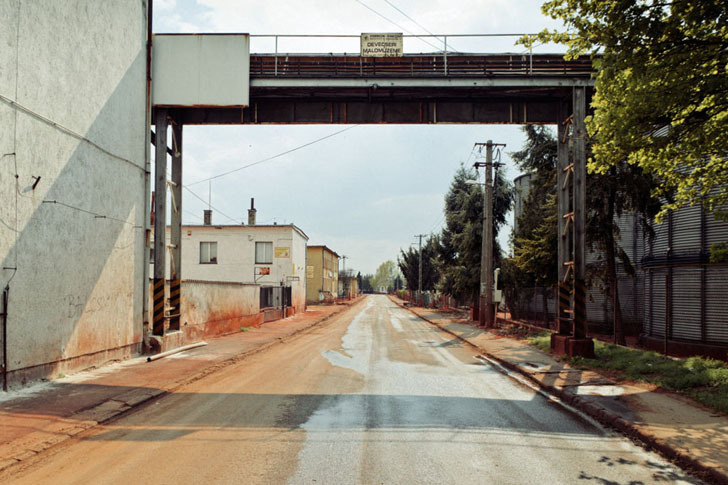 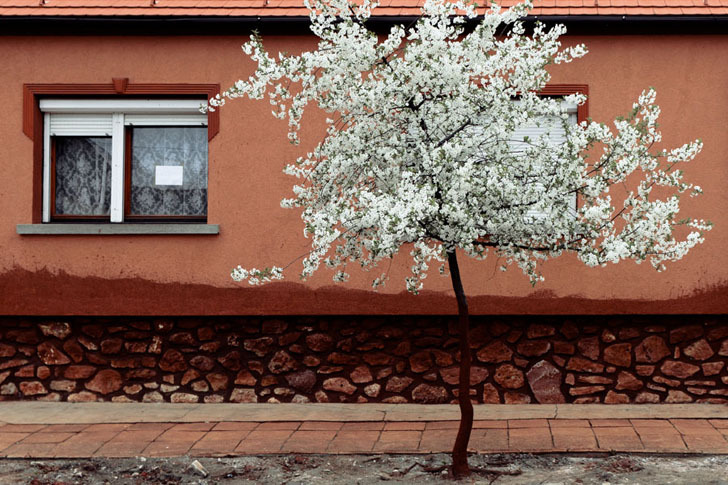 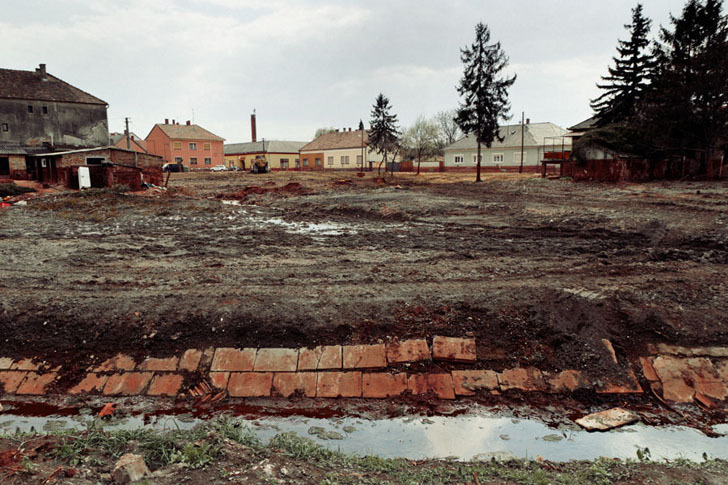 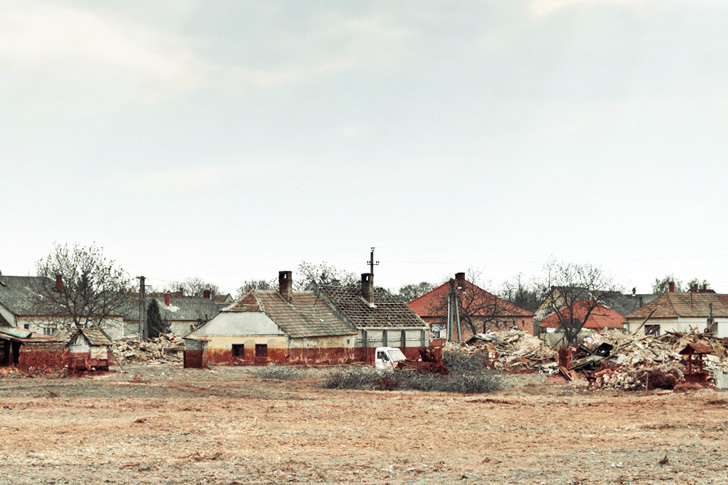 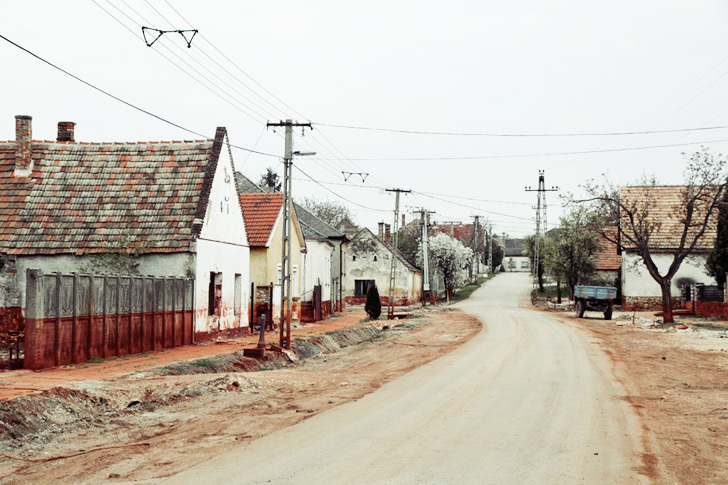 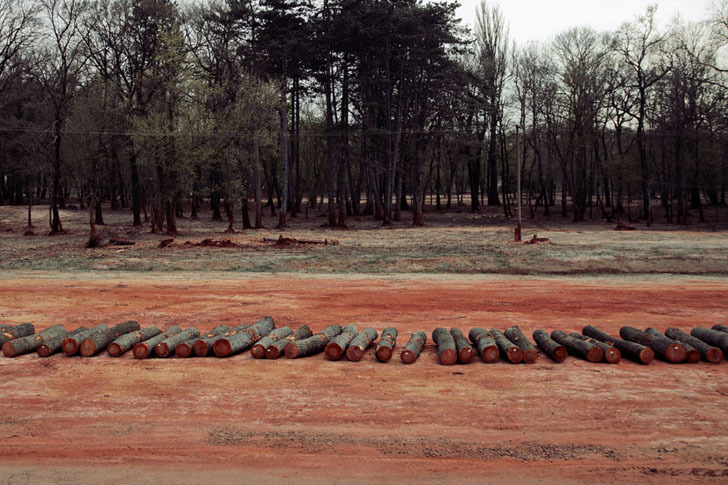 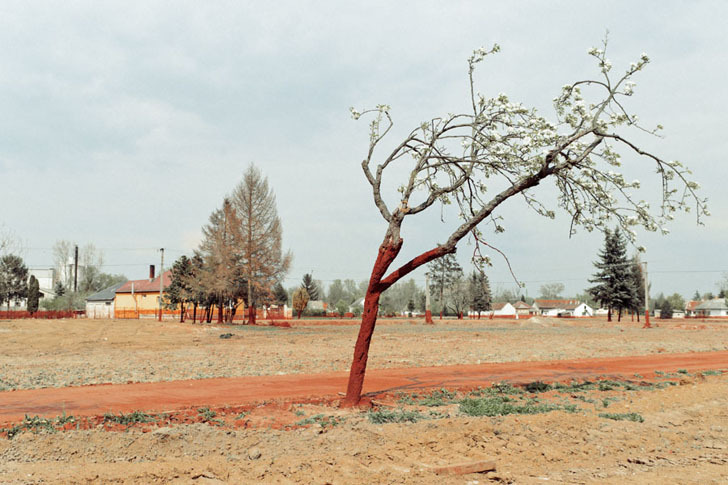 nown for his documentary style of photography, Meszaros has created carefully orchestrated images of other <a href="http://palindromo.info/index.php?/projects/ecosystems-of-ofense/" target="_blank">Eastern European ecosystems</a>.